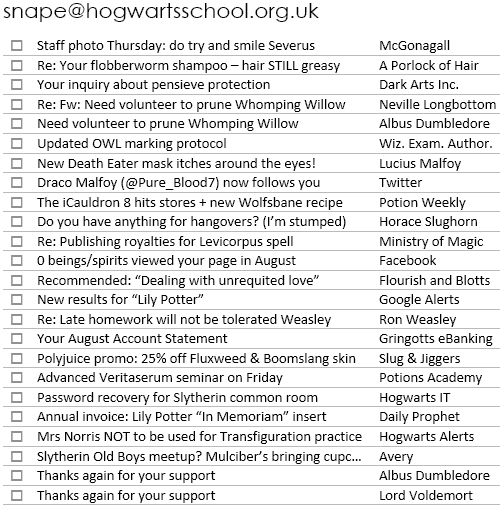 These first appeared at an old site of mine (“Famous Inboxes”), but I thought it might be fun to resurrect Snape’s emails here. I love it!!! The shampoo… Omg!!! You’re a genius!!! Thank you! I have a few more Potter ones that I haven’t got round to posting, yet.